Royalty-free music featuring percussion instruments; rhythmic music such as djembe, darbuka, shakers, congas, Cajun, bongos, drums, timpani, maracas, tabla, etc..
Royalty free percussion music featuring two hang drums, and several percussions. Indian percussion music track featuring tabla, kanjira, dholak and khol. Royalty free indian percussion music featuring tabla, ghatam, kanjira, dholak and khol. Brazilian percussion music. shakers, caixa, tambourine chocalho, , and other percussions. West African percussion music. Three djembes and two dununs. West African percussion music. This title features calabash, shakers, dunun ( kenkeni, claps and metallic percussions. Royalty Free Music with a solo drum performing a 4/4 rhythm in a funk / rock style. There is 8 measures played with snare drum, bass drum and hi-hat. then the same pattern with cymbals. The music starts with a short intro, multiple fills are performed throughout the music, and there's a coda at the end. Drums, percussion, rhythm, rock, funk, groove,..
A small music played xylophone, music box, drums, bass and different percussion. Positive atmosphere, child, innocence, music box, nature, travel, purity,. Royalty free bossa nova beat. The elements used are: bass drum, snare drum played in rim shot and cymbals. Latino, gentleness, peace, bossa nova..
Music featuring several instruments. Djembes, shakers, congas and cymbals. African percussion, djembe, jungle, nature..
Another version of the music Africa African atmosphere, jungle, nature,..
Royalty-free music performed with percussions. Africa, mystic, travel, voodoo.. Variant of Africa music, with several additional percussion. Jungle, Africa, voodoo, research, travel,.. Variant of Africa 4. 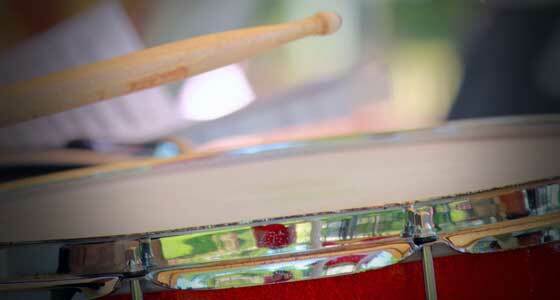 Percussion, djembe, congas, shakers..
Short royalty free music with three timpani shots. Timpani, drums, percussion, war, suspense, voltage,..
Music played on drums. Rock style, with energetic sound, and fills performed every 4 measures. The recording is treated by dynamic compression and past in a limiter. Drums, loop, groove, rock,..
Royalty Free Music with drums. It is treated by a resonant filter and a flanger effect it is applied to the mix. Groove, loops, drums,..
Samba music, played with a set of Brazilian percussion. Atmosphere, Brazil, samba, carnival, action..
Royalty Free percussion Music in the style of Gnawa music. The piece begins with a slow tempo that increases stepwise, to reach the end a very fast speed. Africa, mystical, Gnawa, trance, lila.